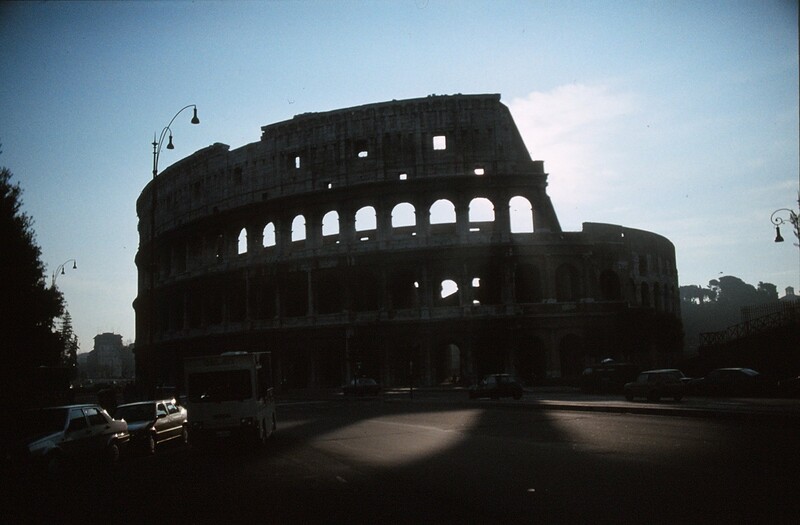 I moved to Rome to teach English at Inlingua in September or October 1989. 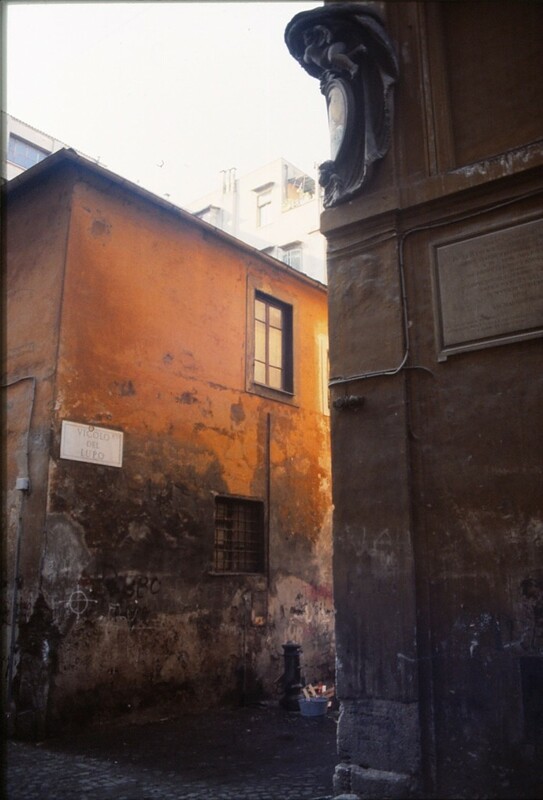 I lived in a private pensione on Via Muzio Clementi, between Ponte Cavour and Piazza Cavour, not far from Castel San Angelo. I shared a room with Neno, an Italian waiter. The pensione was run by a lady called L’Italia. She was born in Libya during the Fascist era and named after the home country by her patriotic settler father. She took me under her wing and for the nine months or so that I lived in Rome I became part of her extended “family” of close friends and favoured lodgers who gathered around the dining table in her back room for dinner which L’Italia cooked in a little kitchen next door. L’Italia’s “nemesis” in the group was an Egyptian who was fluent in Italian. Their “arguments” would entertain us for much of the evening, especially when L’Italia was railing against the “maleducati” and the “imbicili” who had riled her up during the day. The television was permanently on and adding to the cacophony of Italian voices that assaulted my ears. It was an excellent way to improve my Italian. The evenings were rounded off with espressi fortified with San Buco. I spent most of my free time wandering the streets of Rome and visiting the museums and sites. The Blue Guide and my camera were my constant companions. 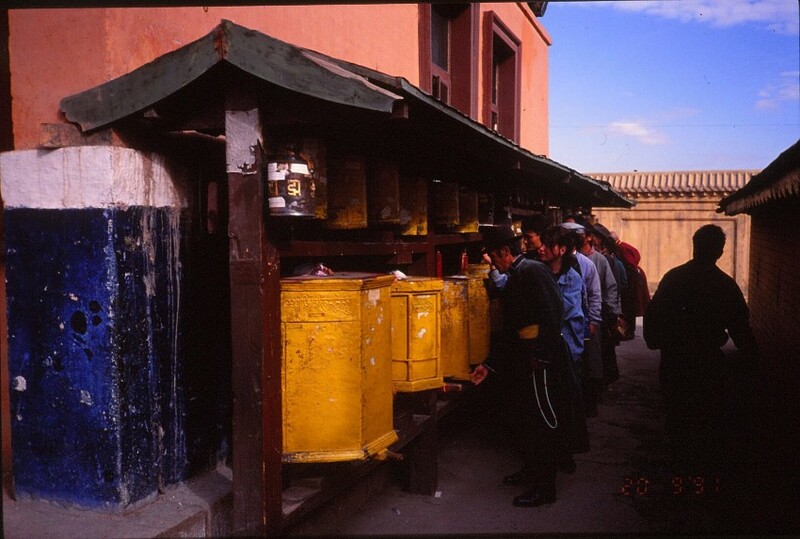 Here’s a small selection of the hundreds of slide photos I took while I was there. 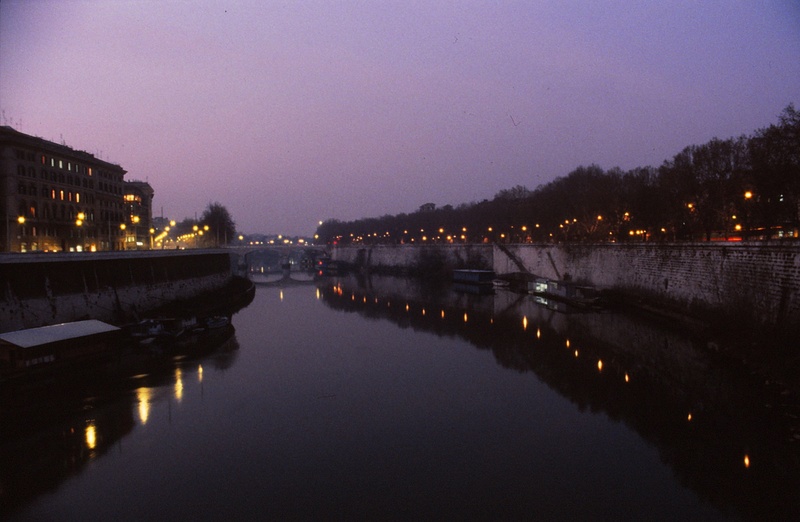 Looking up the Tiber at dusk, from Ponte Cavour. 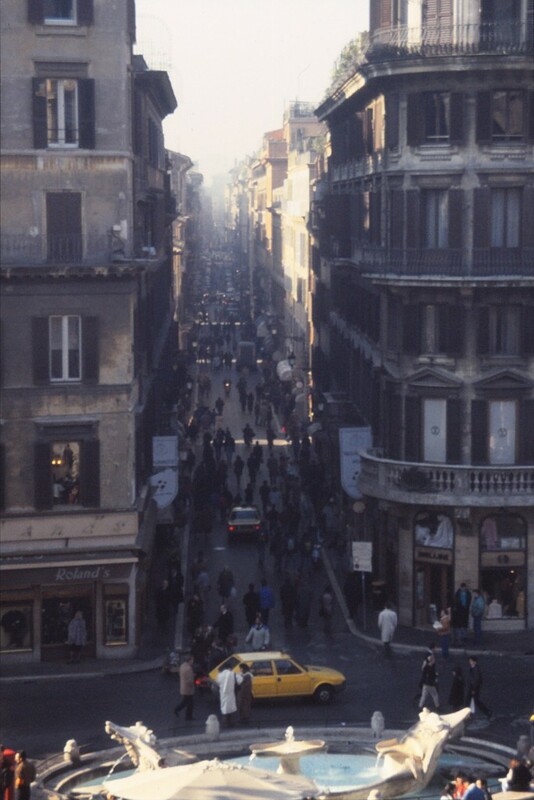 Via Condotti from the Spanish Steps. 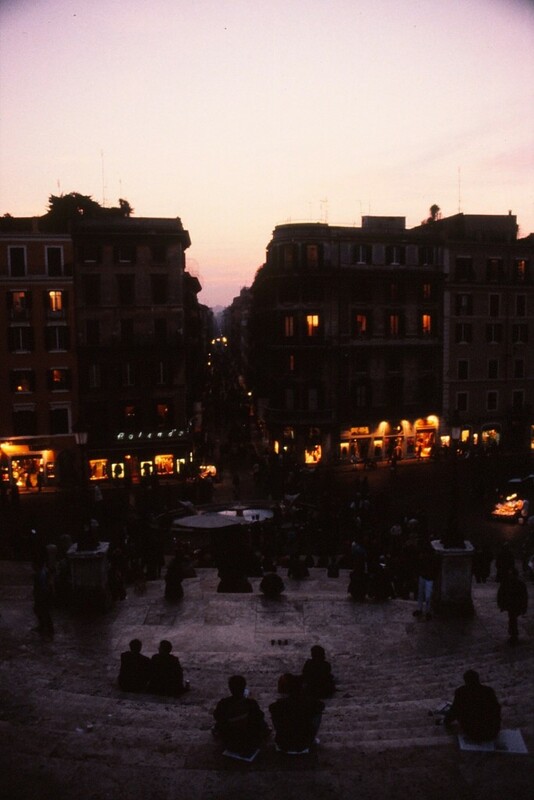 Via Condotti from Piazza Spagna, later that evening. The Colosseum, as seen from the exit of the Colosseo underground station.